Hello everyone. 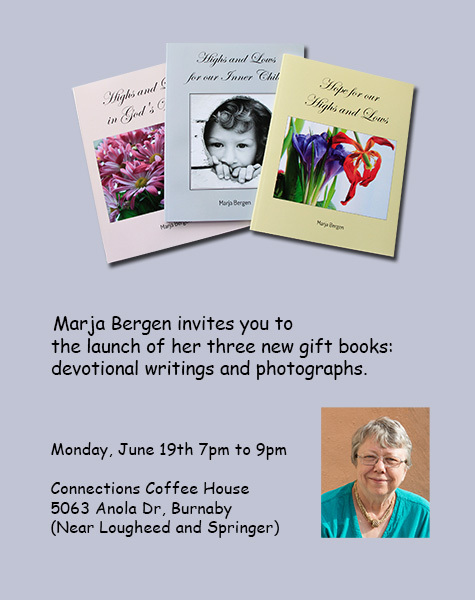 I’m pleased to announce the publication of three new gift books filled with my devotionals and photographs. I am finding they make great gifts for the people in my life who need encouragement, friends who are not doing well for a variety of reasons – especially friends in hospital. I hope some of you will join me on June 19th to celebrate. Check here for the location of Connections Coffee House.